It’s been a little while since I’ve done a patio garden update. Well, it’s August and no veggies have been produced just yet. 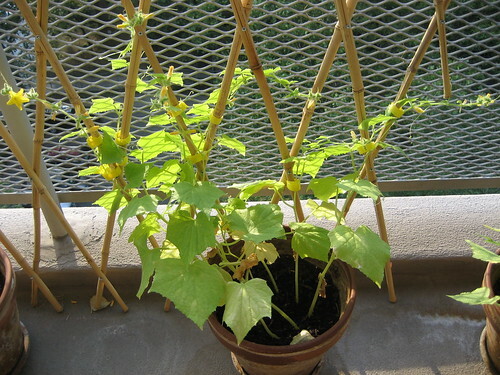 Out of all three plants, it seems that the cucumbers are doing the best. 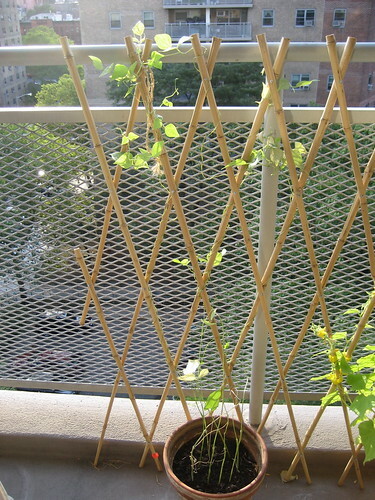 There used to be more leaves on the pole beans and it seems that they’ve stopped creeping up the trellis. I don’t know if they’re getting enough sun. That’s always been the worry about my patio because we face west and there’s a huge building right in front of us. A friend of mine told me that they should be producing beans this month, so fingers crossed! The cucumbers, I think, are looking really good. The vines look really healthy and are producing a ton of flowers that are really pretty. The summer squash seem to be sprouting new life. Once the original blossoms died, it looked like the leaves were dying too, but now there are new leaves and it looks like I might be getting blossoms again at some point. 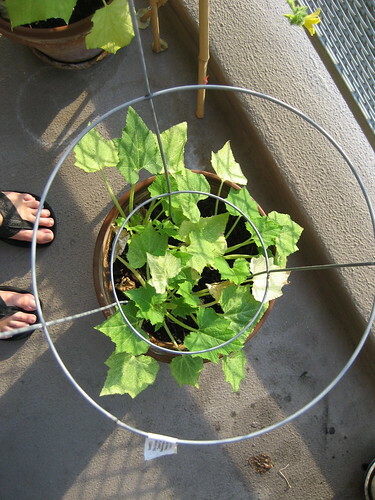 Hopefully the flowers will be able to pollinate and create some yummy squash! Thus, the waiting game continues. I do wonder that if I actually planted these in the ground, that they would have grown something at this point. Maybe not. 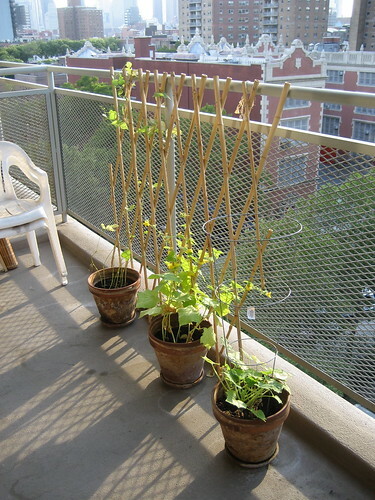 I think I’m going to try and plant some other veggies soon, like asparagus. It’s a vegetable that’s grown in the fall. I figure I’ll give myself a little break and plant them in September. ~ by Rori on August 2, 2010.